Nagpur: Shree Kalyaneshwar Shiv Mandir at Telangkhedi Seminar hills is gaining a lot of attention for its man-made ice Shivlinga displayed for darshan at the temple. 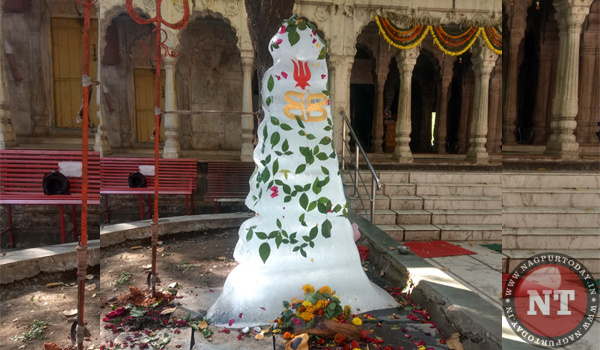 The ice Shivling was made at the temple premises on January 20 during the Sundarkand religious discourse. The ice sculpture a piece of wonderment and marvel was installed by one of the devotees Anand Tiwari during the Sundarkand.